Peter's godparents were the future British King George VI and his wife Elizabeth Bowes-Lyon (known as The Queen Mother during the reign of her daughter Elizabeth II). 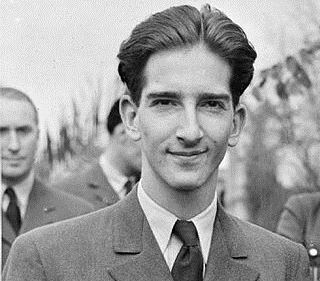 King Peter II was educated in England from an early age, where he attended the elite Sandroyd school, which was also attended by Lord Carrington and British Prime Minister Anthony Eden. This day in 1923 marked the birth of the last Yugoslav king, Peter II of the Karađorđević dynasty. He became king when he was only 11, after his father, Alexander I, was assassinated by the combined effort of Croatian and Macedonian nationalists during a visit to Marseilles in 1934. Since he was underage, a Regency headed by his cousin Paul was appointed to rule in his place. The young Peter II personally took power only after a coup d’état led by pro-Western Serb-nationalist officers in late March 1941. However, the coup angered Hitler (Yugoslavia had joined the Axis just before the coup took place) and he ordered his troops to invade the country. Other Axis nations joined the invasion, and Peter II was forced to flee the country. He would never return from exile – after the war communists led by partisan commander Josip Broz Tito took power in Yugoslavia, and officially deposed the King on 29 November 1945. Peter II was born in Belgrade, and his godparents were the future British King George VI and his wife Elizabeth Bowes-Lyon (known as The Queen Mother during the reign of her daughter Elizabeth II). Interestingly, Peter II was actually a descendant of famous British Queen Victoria, but also of the Russian imperial dynasty and of Austrian Empress Maria Theresa. He was educated in England from an early age, where he attended the elite Sandroyd school, which was also attended by Lord Carrington and British Prime Minister Anthony Eden.